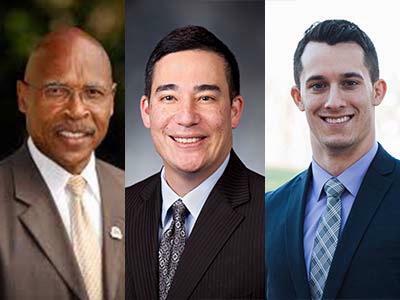 OLYMPIA—All three lawmakers representing the 44th Legislative District are joining together to host a town hall meeting on Saturday, March 23. “This forum is a great way to meet us face to face, and talk person to person about how our work in Olympia can best improve our way of life in Snohomish County,” said Sen. Steve Hobbs, (D-Lake Stevens). The event is scheduled for 9:30 to 10:30 a.m. at the Lake Stevens Senior Center at 2302 Soper Hill Road. “Town halls like this are a great opportunity for our constituents to learn about the work we are doing in Olympia, and share their comments and questions with us,” said House Speaker Pro Tem John Lovick (D-Mill Creek). Hobbs and Lovick will be joined by their new seatmate, Rep. Jared Mead (D-Mill Creek).